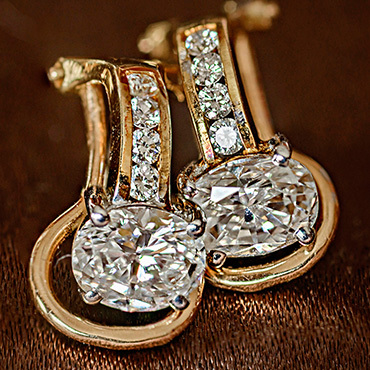 These unique studs highlight oval diamonds weighing 1.39 carats. An additional .10 carats of brilliant whites complete the 18 kt. yellow gold mounting. Another example of Yane's expert craftsmanship. 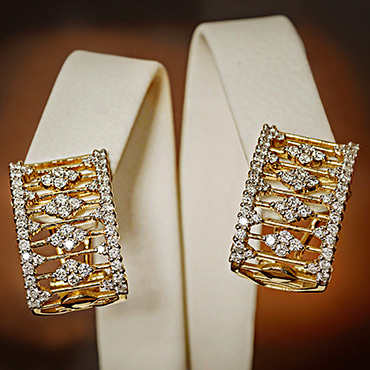 108 diamonds are woven into the design of these 18 kt. yellow gold earrings.